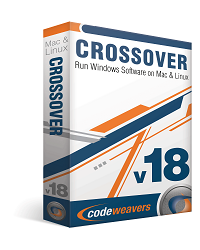 I've been testing Crossover Mac by Codeweavers with varying success as of late. Some things work, and work pretty well I might add, but those things that do not work are really bad. 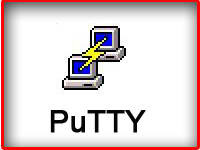 From an end user standpoint this software is not even close yet to the level of stability I have been used to with Codeweaver's Crossover Office for Linux. I will give this software credit for being a tightly integrated solution. You can open programs from Crossover's own menu or by directly double clicking on the executable. Software is installed within what they call bottles. These bottles can either be a Win98 or Win2000 setup. By default there is a list of programs that can be installed that are currently supported by the application. Most of these actually run suprisingly well. There is also the option to install unsupported programs. 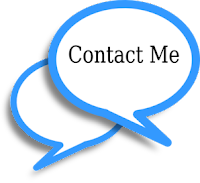 Codeweavers recommends that these applications be give there own bottle from which to work from when you are using the built in install selector. For the first test I installed Microsoft's Internet Explorer 6.0 from the Crossover install selector. This went pretty smooth, although it did take an extraordinary amount of time to actually complete the installation. Afterwards I launched IE6 from the Crossover "Programs" menu. Again it seemed to take it's time launching and at first I was not sure it was launching at all. Applications launched with Crossover Mac do not have regular bouncing icons in your dock like other OS X programs. Instead there is a miniature icon that bounces for a little while on top of the Crossover icon in the dock. Typically this disappears before the program is actually on your screen. With Internet Explorer 6 now opened and running on my screen I decided to poke around and see if I could crash it. No such luck, however I was unable to get flash working. Overall it seemed to work quite well, even though I would not try to run any video or graphics intensive webpages through it. I checked my bank account with it though. I'm still broke. So far so good with Crossover Mac. I closed IE6 as well as Crossover. The shutdown of Crossover takes a while. It shuts down each bottle individually. I grew impatient and hit force shutdown. Bad move. My entire system was sluggish at this point, so I decided to fire up Activity Monitor to see what was going on. To my suprise I found not one or two, but 6 wineserver processes running! In a bit of foreshadowing to come, I force quit each one of them. The OS still felt sluggish so I decided to reboot. It always make me a Sad Mac when I have to reboot. Back to my desktop. The test with Crossover was not complete though. It was time to start testing unsupported software. By default if you open a setup program from Finder by double clicking it will open Crossover and install into your default bottle. I learned this the hard way. The first unsupported application on the chopping block was DVDShrink 3.2 and I decided to install it into both types of bottles. The install process went fine and the application launced. Okay, so far so good. I went to open a disc after popping the movie "Thumbsucker" into my DVD drive. No drives were available! It looked like this wasn't going to go so well. I decided to try to open the DVD by way of the open folder method. Sure enough browsing to the folder worked and DVDShrink started to read my DVD. I walked away to make some pancakes. When I returned I was sitting at DVDShrink's main menu with the DVD's contents listed. However the program refused to respond to me. This isn't good. Force quit. I then repeated the process except this time I stayed at the computer the whole time. After the program read the DVD I was able to click on options. It must be similiar to the bug I had with this program under Crossover Office, where leaving it idle too long would result in it being unresponsive. I attempted to tell the application where to rip the DVD files. Another lockup happened when attempting to select an output folder. Still not going well. Four subsequent attempts resulted in various lockups until again the computer felt sluggish. Checking Activity Monitor produced the same results as before only with three times as many wineservers running. I killed each of them off and decided to give this program one more shot. This time I did everything as quickly as I could. The DVD ripped without incident. I figured I had figured out the magic touch and could now rip using DVDShrink as much as I wanted. However one last test would tell. The play test. I fired up VLC and selected "Play Disc" and "From video_ts folder". The video screen came up and started to play. The resulting video output almost had me in tears. Two hours of fighting with this application had resulted in a corrupted video stream. I tested the files on a different computer to be positive. Same artifacting on both machines as well as when I decided to waste a blank DVD+R and play the files on my standalone DVD player. For those keeping score, Crossover is now at a record of 1 - 1. Next up on the unsupported list was a few random games. Some worked ok (and by ok I mean I was able to get into the game, doesn't mean I could play it), and some did not work at all. I wasn't expecting much in this department yet anyway. Further tests with supported software such as Photoshop resulted in successes similiar to IE6 in that they did in fact work, but were not without some glitches. This is to be expected however. All in all, I will give Codeweavers credit for bringing the WINE/Darwine environment over to the Intel OS X world and doing so in a very user friendly fashion. However unless you are a glutton for punishment or enjoy beta testing until your head explodes, I would stay away for the time being.